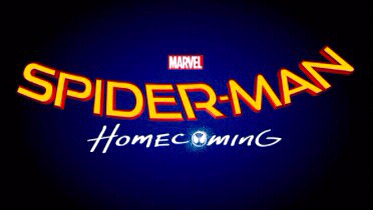 I can’t wait to see Spider-Man: Homecoming, partially because Tom Holland gave a winning, enthusiastic performance in Captain America: Civil War, but also because the movie is being produced by Marvel Studios along with Sony Pictures, which at least holds out the hope that he will be treated more faithfully than has recently been in more recent iterations. That being said, as a reader of various websites dedicated to superhero films I have started to pay closer attention to what I think is quite a disturbing trend–which isn’t by any restricted to superhero-orientated sites; those are just the ones I frequent on a consistent basis–which is the revealing of plot points that may at first relatively minor, yet cumulatively can end up being spoilers. I read the article, though soon noticed a curious feeling not unlike regret. It was less a case that the particular thing revealed being by any means earth-shattering–truth be told, it was hardly what I’d call a spoiler–though what it and reveals like it have the potential of doing is not only robbing the movie of what could have been a very memorable moment. Though there’s the risk that, over time–as other equally small moments are revealed–of potentially adding up to one massive spoiler, as these sort of reveals can have a cumulative effect. Making a movie, overall, significantly less enjoyable. Which is oddly ironic because relatively few, if any, fan sites actively seek to diminish anyone’s joy, but due to their zeal to dig up as much information about an upcoming project as they possibly can can end up doing just that. Posted in action, Marvel, Movies, My Two Cents, superheroes, upcoming.Tagged Captain America: Civil War, Tom Holland.